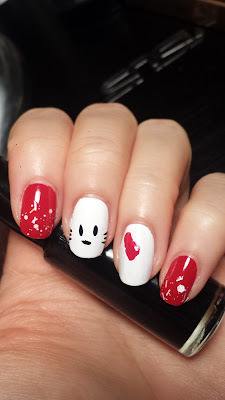 Miss Ruby Nails: Hello Kitty Nails! 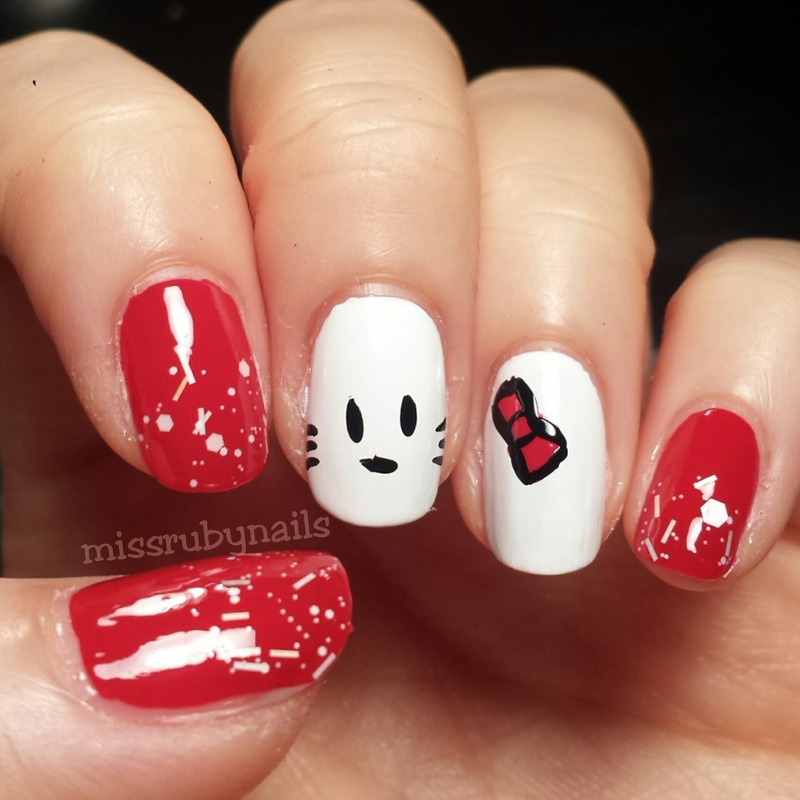 How adorable is this set of Hello Kitty nails? I had this design in my mind for a while and I have finally put it down on the nails! A traditional Hello Kitty design must consist of red and white, right? 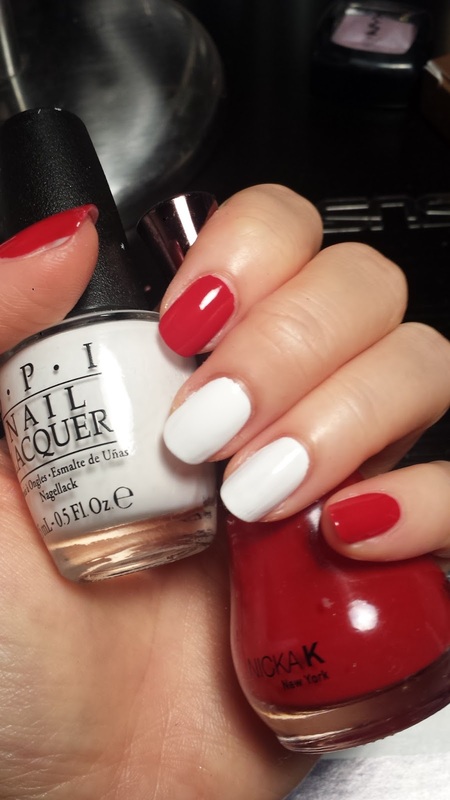 I first painted the nails with the nice "one coat wonder" red polish by Nicka K and 2 coats of the white polish by OPI. On the red nails, I topped them with a white chunky glitter on half of the nail at the tip. 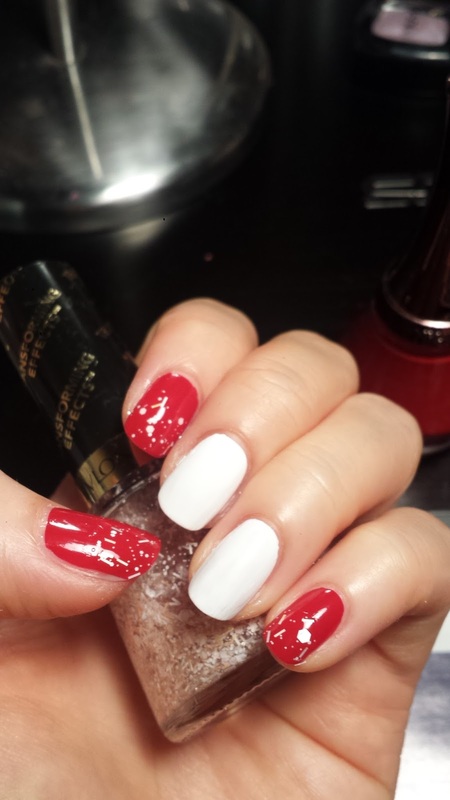 This glitter was by Revlon. 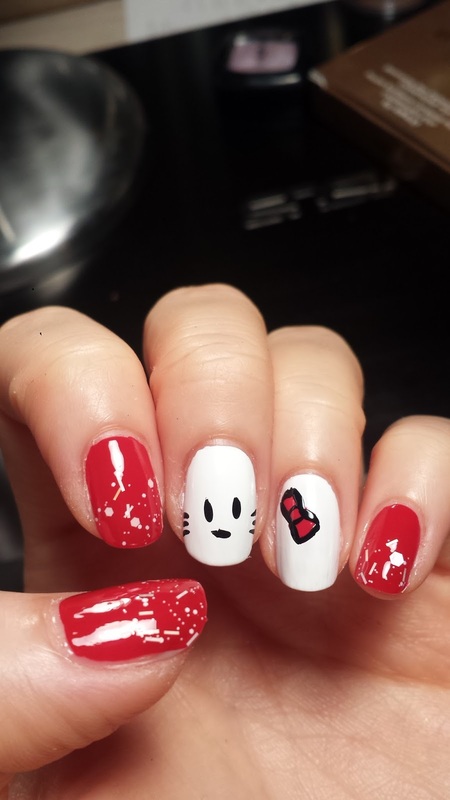 To make the Hello Kitty face, it was actually quite simple. 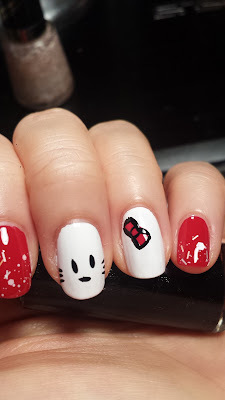 I took my black nail striper and drew on the eyes, mouth, and whiskers on the middle finger. 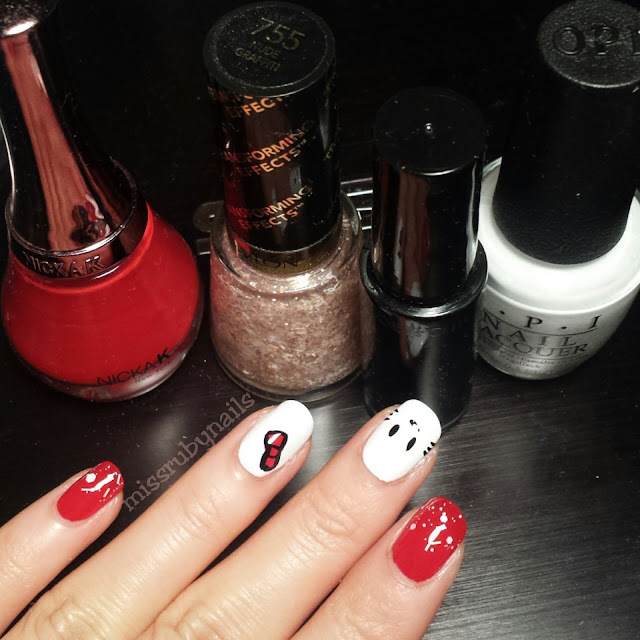 Then I painted the bow on the 4th finger and outlined it with the black striper, and we are done!